Dermatopathology Diagnosis by First Impression is to focus on a selection of commonly tested entities, showing low to high power views. Major differences among diagnoses that are sometimes confused are emphasized on �Key Differences� pages. 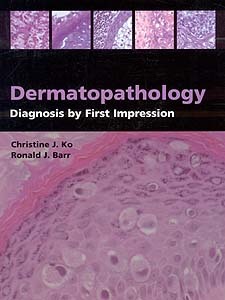 Dermatopathology Diagnosis by First Impression will also be helpful to the dermatopathology novice as it introduces a simple and effective way to approach a slide .